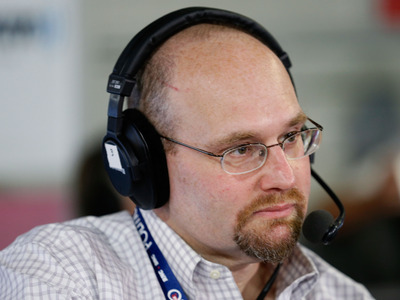 Glenn Thrush, a top Politico reporter, found himself in hot water for an email he sent in 2015 to Hillary Clinton campaign chairman John Podesta. Thrush, who was working on a story in April 2015 about “Hillary’s big-money dilemma,” asked Podesta if he could look over a couple of paragraphs that pertained to him. “Because I have become a hack i will send u the whole section that pertains to u,” Thrush wrote. The exchange was revealed in the latest WikiLeaks dumping of hacked emails from Podesta’s account. Nevertheless, Thrush found himself under fire online. Dan Froomkin, Washington editor at The Intercept, a left-leaning publication, was similarly condemning of the leaked email. “I can speak with firsthand knowledge and experience that Glenn checks the validity of often complex reporting with everybody, on both sides of the aisle,” he added. The Clinton campaign has said Russia is behind the WikiLeaks hacks, attempting to swing the election in favour of Donald Trump.